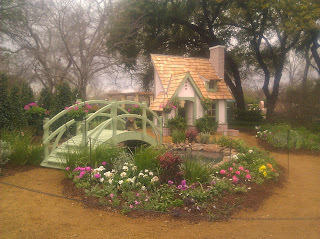 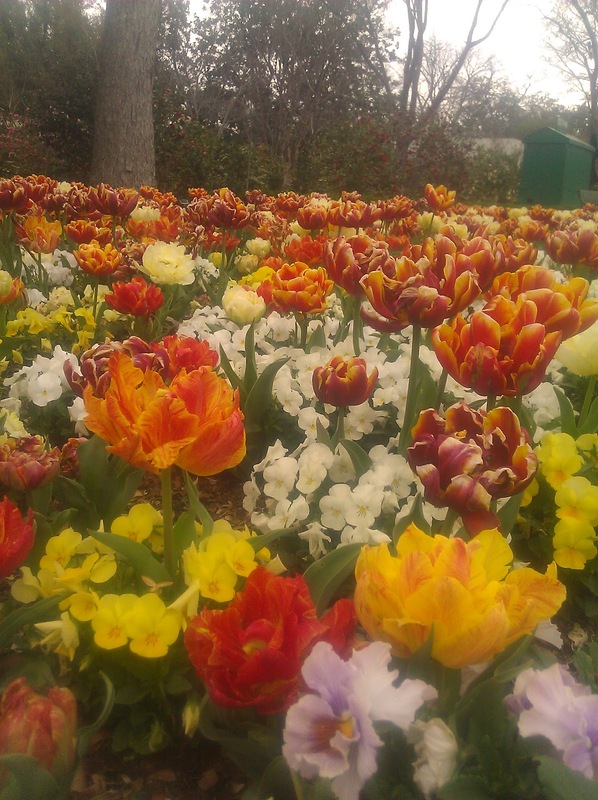 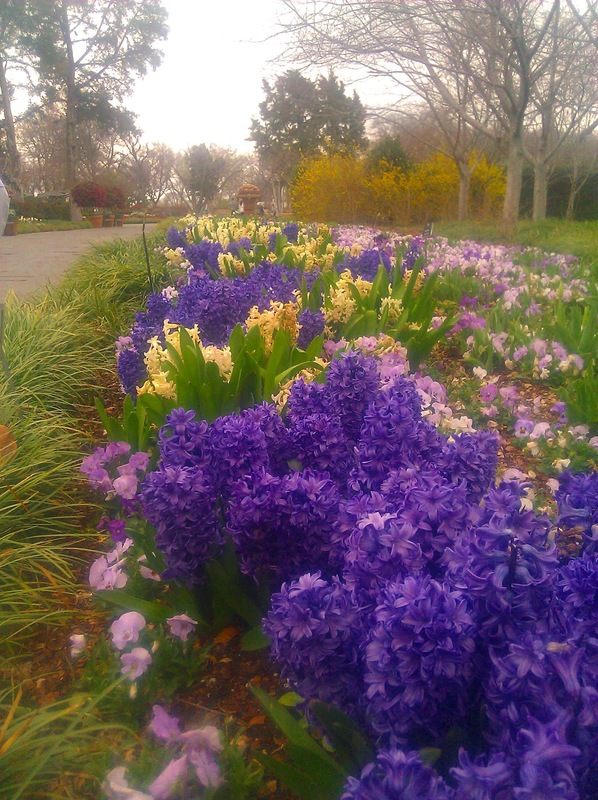 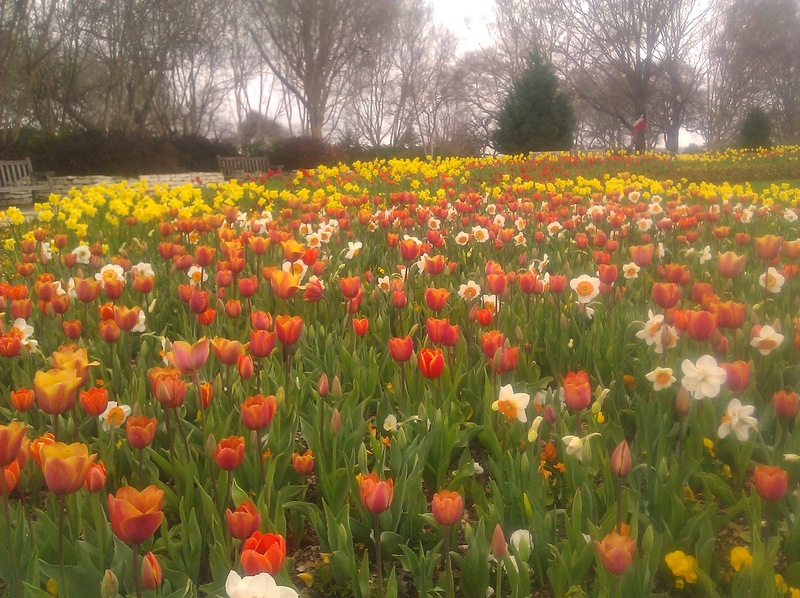 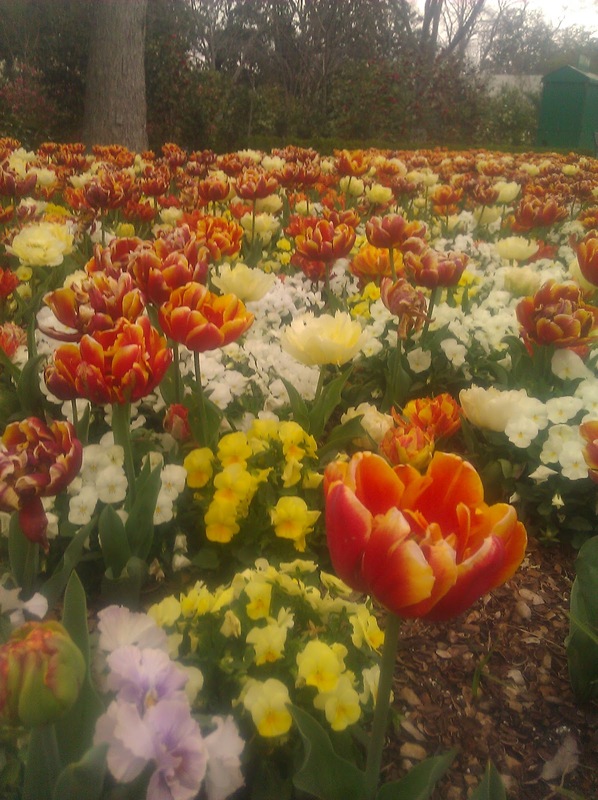 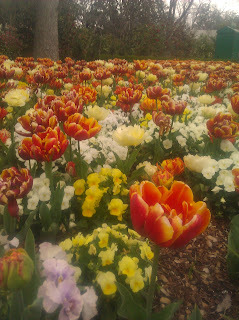 We went a couple of times (so far) to the Dallas Arboretum for their Dallas Blooms display and related events. 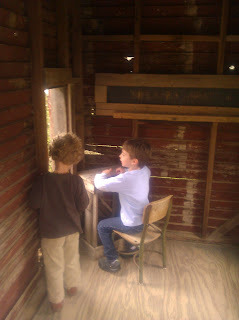 They have put together an exhibit of small houses in the theme of several artists and we had a great time exploring those. The pic above ^ was taken before the exhibit was open, which is why it's so nice and neat, and no people are around. The boys on the bridge of the house in the first picture. 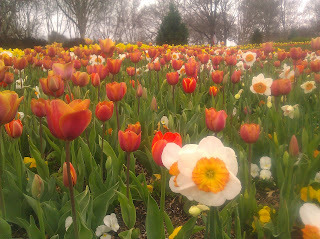 This was the Georgia O'Keeffe house. I really liked it, so there are a lot of pictures of it. This is the Pablo Picasso house. 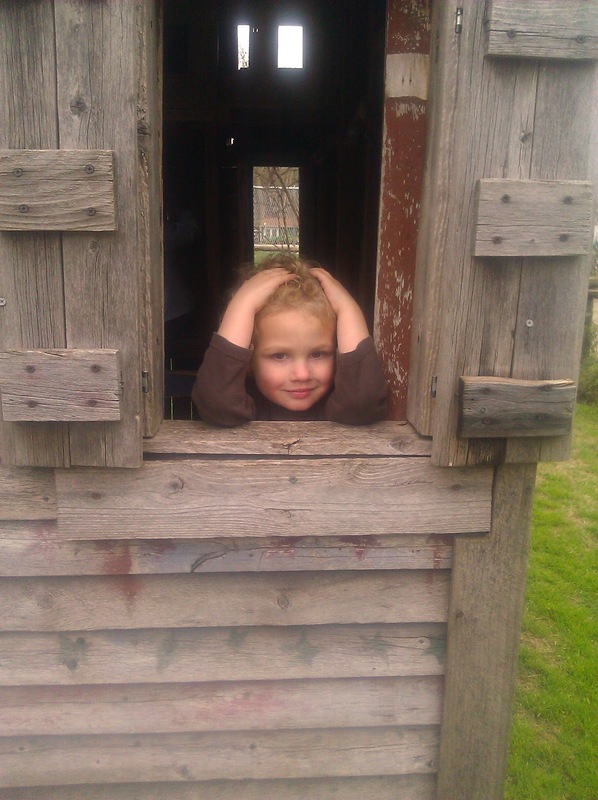 This is over in the Texas village...the boys love the "old houses"
William in the "school house". 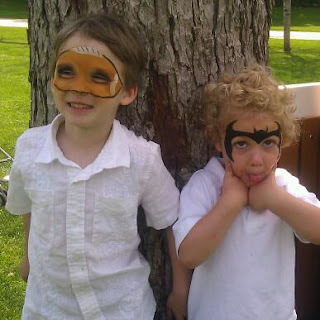 He said "I'm working on my computer"
football-man and bat man. I don't understand the football. Fighting on a bench. There are lots of these small benches around. Aldous found a glittery headband. 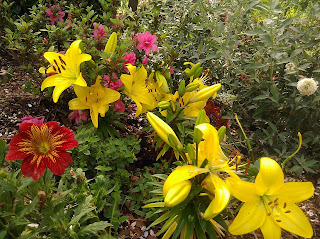 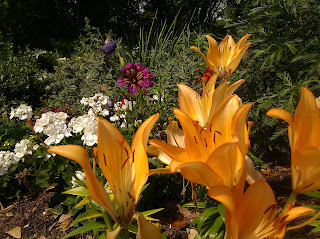 And, here are some flowers! 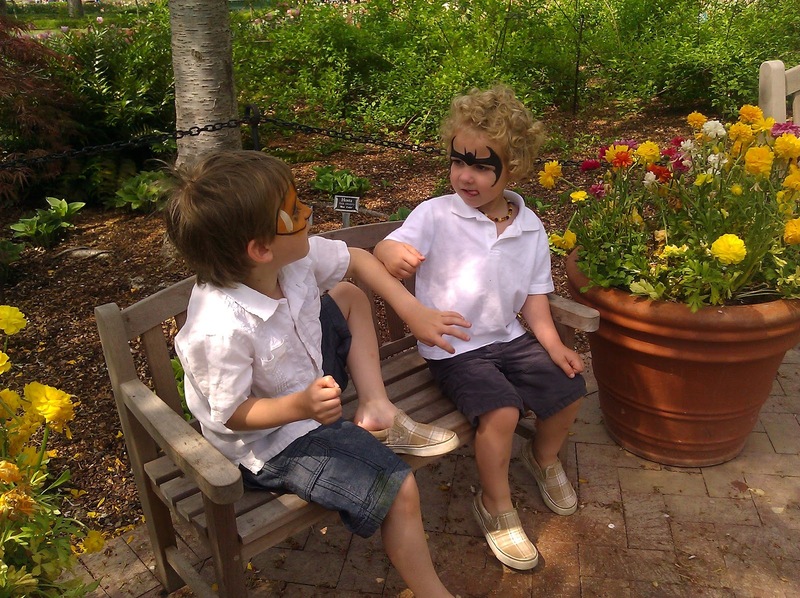 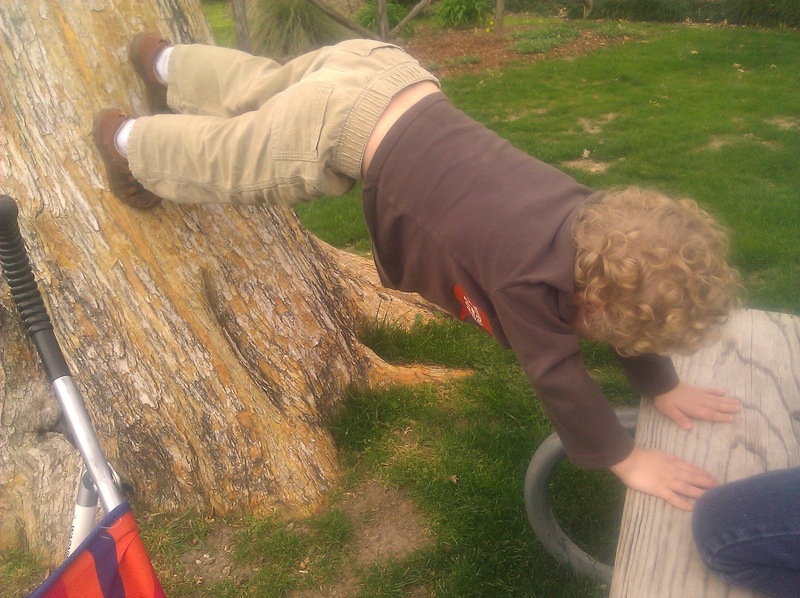 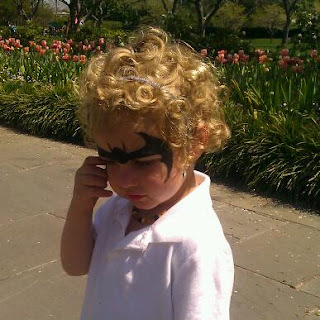 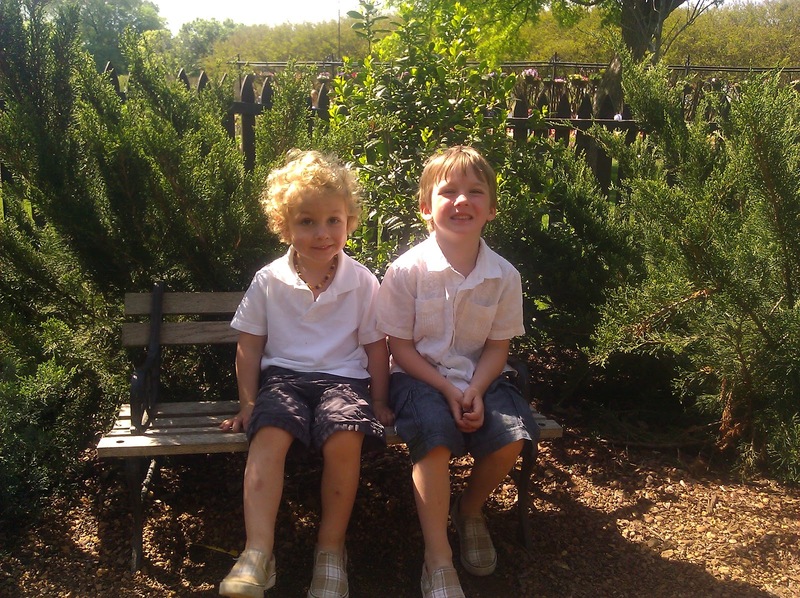 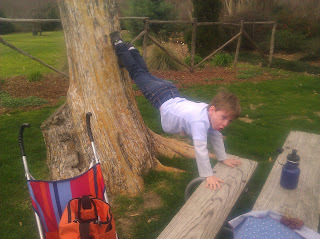 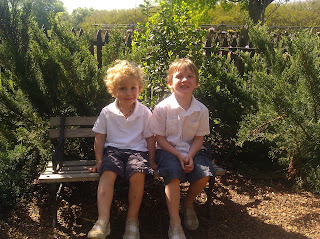 We go to the Arboretum a lot and the boys really love it! 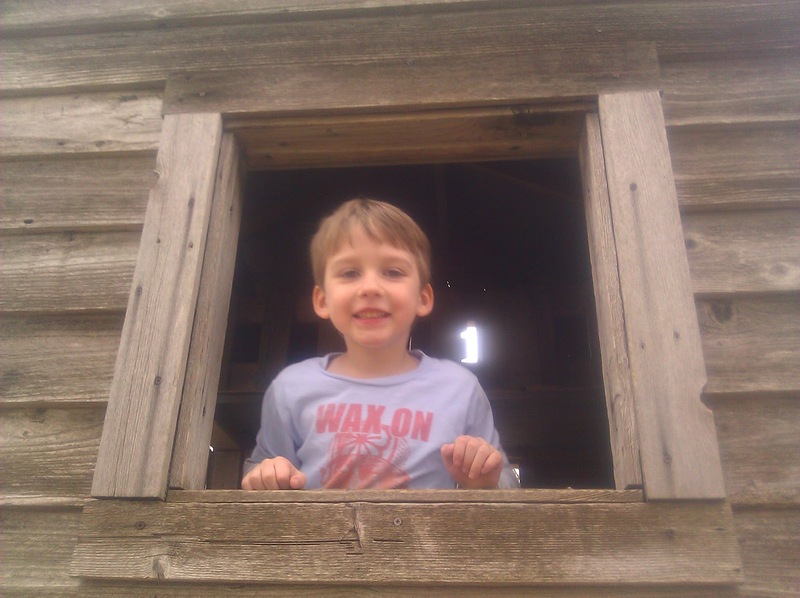 Lots of wide open spaces!